Islamorada is the “sports Fishing Capital of the World” and boasts a long history of IGFA world records and famous anglers and guides to back it up. The upper Florida Keys, (collectively Biscayne bay to Islamorada to Marathon to Big Pine Key including Flamingo in Everglades National Park) is the premier fly fishing and light tackle destination in the world. For those looking to experience the “pinnacle” of saltwater fly fishing there is no more complex, diverse and abundant fishery on the planet than this stretch of water. This amazing, rich and complex fishery includes a river esturine ecosystem to the north (Everglades National Park ) the largest submerged grassland (Florida Bay) and the third largest barrier coral reef in the world. The Florida Keys are home to many of the worlds most talented guides, and are a wonderful spot to vacation with family and friends. WorldAngling’s roots are firmly planted in the coral sand here and we have spent a lifetime learning these waters. The upper Keys, Biscayne Bay, Islamorada and Florida Bay are a true year-round fishery with options for every type of fisherman. Everything from shallow water sight fishing with a fly rod to offshore trolling in the Gulfstream are only a few miles from the dock. 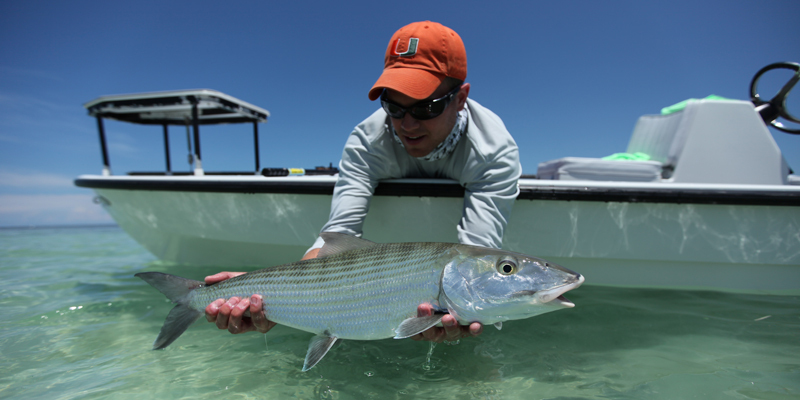 Inshore “flats” species include Tarpon, Permit, Bonefish, Redfish, Snook, Sharks, and Barracuda. Offshore species include Sailfish, Marlin, Tuna, Mahi, Wahoo, Kingfish, Grouper, Cobia, Snapper, and Sharks.